****The photography on this website is my own, unless otherwise stated. All insects change in form as they grow; this process is called metamorphosis. Butterflies and moths undergo complete metamorphosis, in which there are four distinct stages: egg, larva (caterpillar), pupa (chrysalis), and adult. 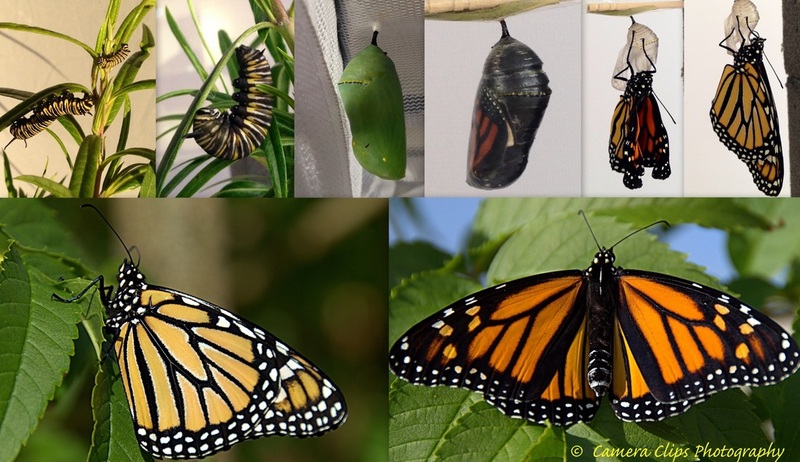 It takes monarchs about a month to go through the stages from egg to adult, and it is hormones circulating within the body that trigger the changes that occur during metamorphosis. Once adults, monarchs will live another two to six weeks in the summer. Monarchs that migrate live all winter, or about six to nine months.